Foremost religious leaders from diverse faith communities respond to the most controversial question of our time: Can we save the earth? The answer could hinge on the phenomenon of the fast-growing interfaith religious environmental movement. The author makes the case for environmental stewardship that cuts across old divisions of faith and politics. 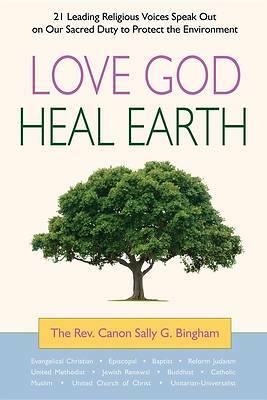 She presents 20 fellow religious leaders and eminent scholars (from rabbis to evangelicals to Catholics, Muslims and Buddhists) each contributing an original essay-chapter, with personal stories of awakening to the urgent need for environmental awareness and action. From all parts of the religious and political spectrum, they come together to tell why caring for the earth is a spiritual mandate, giving chapter and verse and offering plans of action that go beyond the walls of religious congregations and out into the broader community.